Following on from my list of the top ten best supporters I saw in 2014, my review of the year continues with the top five individual moments I saw live this year. 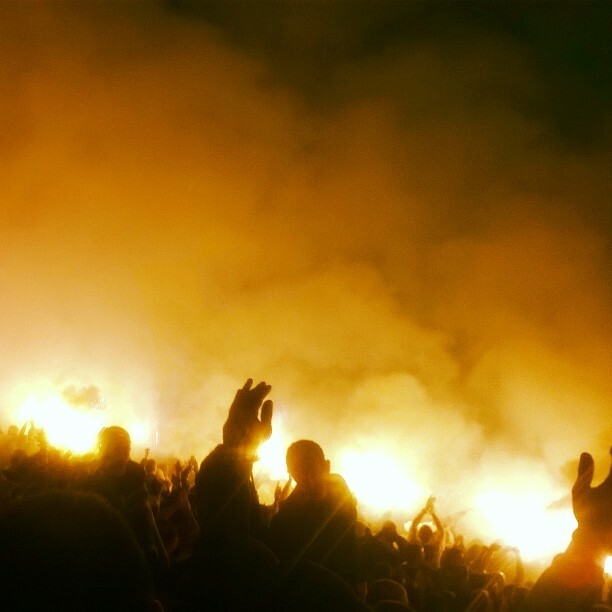 Adding this disclaimer to my last article didn’t stop every Hammarby fan with access to the internet sending me abuse, but as a reminder – moments which I did not see live will not be considered. After my visit to Sunderland last season for their 2 – 1 derby victory over Newcastle, I was back again this year for their game against Swansea. I had booked it expecting to see a crucial relegation game, but an unbelievable run of results from the Mackems meant they had clinched survival a few days before. With Swansea also having nothing to play for, it seemed like this was potentially going to be my first trip to be a total waste of time. I needn’t have worried. Swansea were 2 – 0 in less than 15 minutes, and the home fans forgot about the game and had a party instead. It was the second half were things really got going, a huge party on the concourse spilled out into the stands. While the dancing about and chanting was good, it was nothing compared to the grand finale. There have been a few moments during my football travels that I had to ask myself if something really happened, but after seeing a man dressed as a chicken in a Sunderland shirt, I was pretty sure someone had put LSD in my half-time pint. Eventually the police waded in and ended the party early, but not before he had melted away into the crowd. The hero Sunderland deserved, but not the one it needed right now. So they hunt him. Because he can take it. Because he’s not their hero. He is the silent guardian, the watchful protector. The flare chicken. Just when it seemed as though Europe’s wildest derby was going to end in a scoreless draw, a tremendous free kick from Partizan gave them not only the three points and bragging rights, but a very strong chance of winning the title. A goal in this fixture is like little else you can imagine, and it was an especially emotional week in Serbia after the actions of the Albanians and the subsequent violent reaction early in the week during the European qualifier. 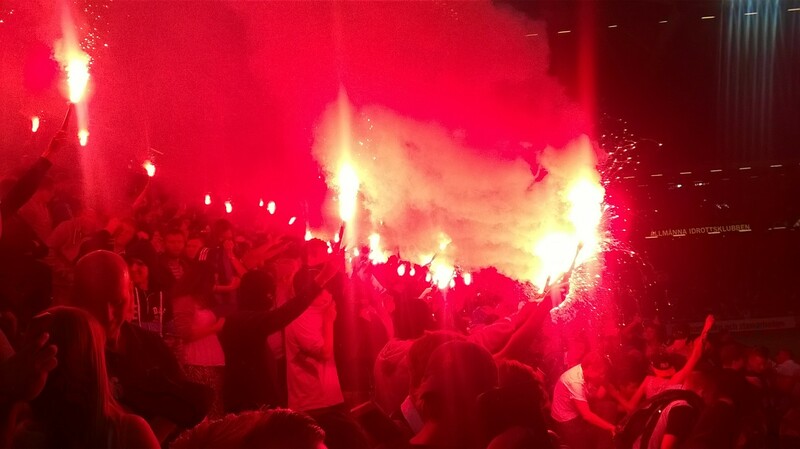 The stadium went suitably wild, with the players shoving stewards out of the way to join the supporters in the stands, enough pyro to signal to an astronaut in deep space, and a number of surges towards the pitch from supporters all over the stadium. There are away ends. There are great away ends. And then, there is the Djurgarden end at AIK. I have already written about just how incredible it was in my review of the best supporters I saw this year, but the equalising goal in this 1 – 1 draw is worth mentioning again and again. There were bodies falling all over the place, with numerous seats accidentally breaking due to the intensity of the celebrations. I’ve seen plenty of away ends getting deliberately destroyed by violence, but this was the first time I had seen it happen due to sheer joy. The celebrations went on for the rest of the match (at least 20 minutes remained), and the visitors almost snatched a winner in the dying seconds. If the ball had indeed gone in, the Swedish national stadium would probably have been demolished for a second time in two years. This fixture has quickly become one of my favourite derbies anywhere in the world, and the sheer mayhem that followed this goal is one of the main reasons why. A beautiful club in a fairytale city. 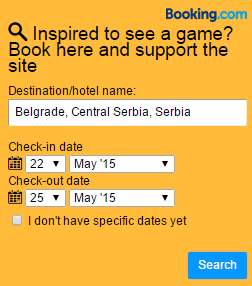 How could my trip to watch Austria Salzburg in the playoff final have anything other than a happy ending? Sadly, FAC Wien did not read the script. The visitors raced into a 3 – 0 lead early in the second half, putting them 5 – 2 up on aggregate. This meant that Austria Salzburg needed to score four times, when it did not look like they would even score one if they played all night. So, how did the home fans react? Booing, calling for the manager to resign and leaving early? Not a bit of it. The third goal had just gone in, and there was a stunned silence all around. One supporter holds up their scarf and starts to sing. He is joined by another, and another, and another. Within seconds, every single person inside the ground is holding aloft their scarf and singing the club anthem. This is a club that has overcome so much, that failure to gain promotion was insignificant in comparison. They sang and sang for the rest of the game, until there was hardly a dry eye in the stadium. When full time arrived and the players sat devastated on the ground, many supporters ran on to the pitch to console them. The president of the club stood in front of the terrace to apologise to the supporters, but was unable to do so before bursting into tears. The supporters responded by singing his name, with even more walking on to the field to thank and console their leader. As I said at the time, Austria Salzburg is one of finest clubs in the world, with a love that knows no division. Look up ‘carnage’ in the dictionary, and rather than a definition, there should just be a picture of De Kuip after an important goal. When the stakes are high, the place goes absolutely mental. Of all the goals I have seen there so far, not even the two strikes against Europa League champions Sevilla caused scenes like this. With an aggregate score of 1 – 1 after the away leg, Feyenoord had cruised into a 3 – 0 (4 – 1) lead in the deciding fixture in Rotterdam. Unthinkably, the Ukrainian minnows scored three unanswered goals in the space of 24 minutes. From 3 – 0 in the 56th minute, it was 3 – 3 by the 80th. While this meant the aggregate score was 4 – 4, Feyenoord would be heading out of Europe on away goals. 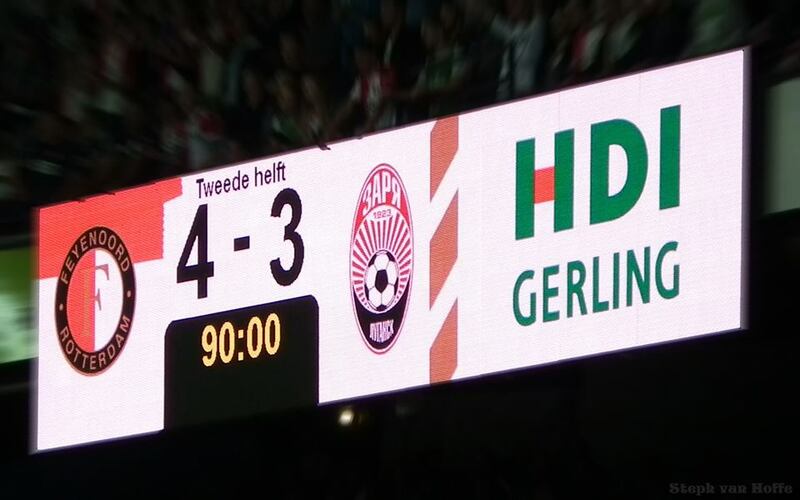 When you consider stoppage time, it meant the Dutch club had perhaps 13 minutes to score a goal and avoid one of their biggest ever embarrassments. It didn’t look like it was going to happen. Zorya defended as though their lives depended on it, desperately clearing the ball away time after time. The game had reached the 93rd minute, and still it was level. It looked as though the last chance had gone, but a Zorya clearance was intercepted, and the ball dropped at the feet of substitute Elvis Manu. Faced by several Ukrainian defenders, it still very much appeared that the game was up. Elvis had other ideas, producing a sublime piece of skill to find some free space, suddenly finding himself one-on-one with the goalkeeper. Every single person inside the stadium held their breath, a rare moment of silence inside one of the finest football stadiums in the world. The whole thing had probably taken five seconds, but it felt as though he had been inside the penalty area for an hour. He drew back his foot, and smashed the ball into the back of the net. Mayhem. From standing in the 20th row, all of a sudden I was underneath a pile of celebrating bodies at the very front. I know about 15 people in my block at De Kuip, and not a single one of them was within ten metres of their starting position following the goal. Crowd-surfing, pyro, an avalanche of people falling over and grown men in tears. All this, just to reach the group stages of Europe’s secondary competition. The bruises all over my body stayed for weeks, the memory will never leave. Of the hundreds and hundreds of football matches I have attended, there’s never been another one quite like this. Posted on December 18, 2014, in General. Bookmark the permalink. 1 Comment. Great Stuff Ben as usual, I still think that you need yo try the Newcastle away end at Sunderland though..